Ok ok, I know Halloween is over and you're all thinking about Christmas now but I had to share with you the lovely delivery that I received from House of Fraser last week, no tricks in sight just plenty of wonderful treats. 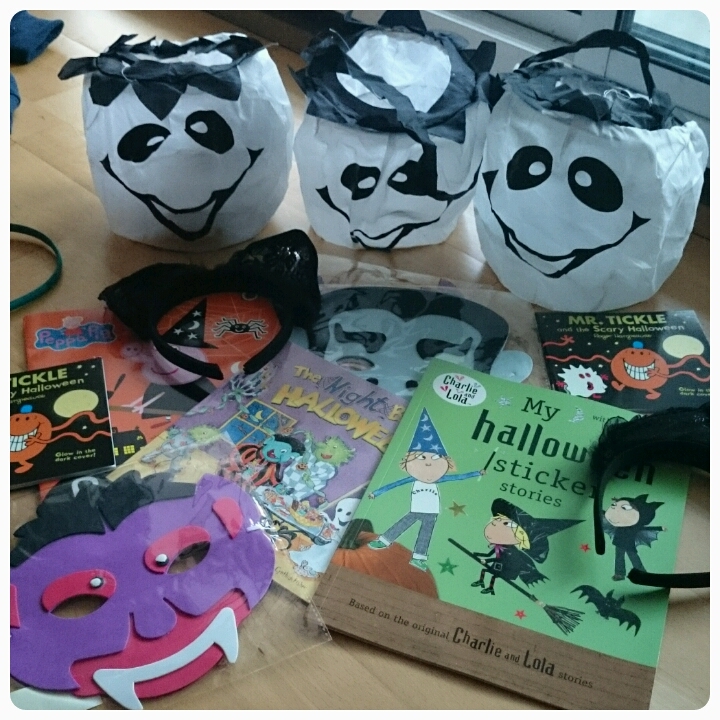 Along with plenty of Halloween goodies including books, sweets and masks, the girls were each sent an item from their children's range of Autumn essentials. I was given the choice of what each of my kids would receive, the girls however had no idea that they were even expecting such an amazing parcel. With so many top brands of clothes, shoes and accessories to choose from, I had a tough decision to make but judging by my daughter's faces, I think my choices were correct. 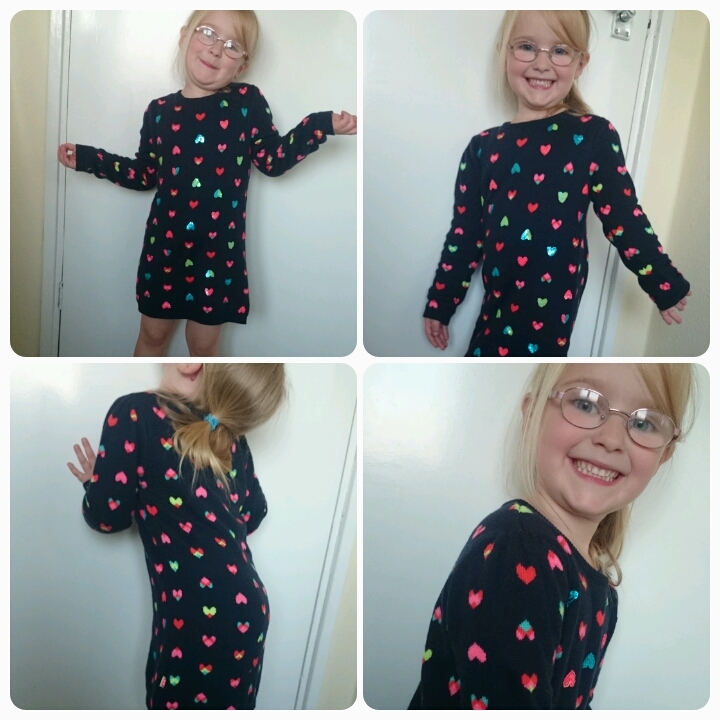 Gracie (4) received this gorgeous knitted dress from Billieblush (rrp £35). 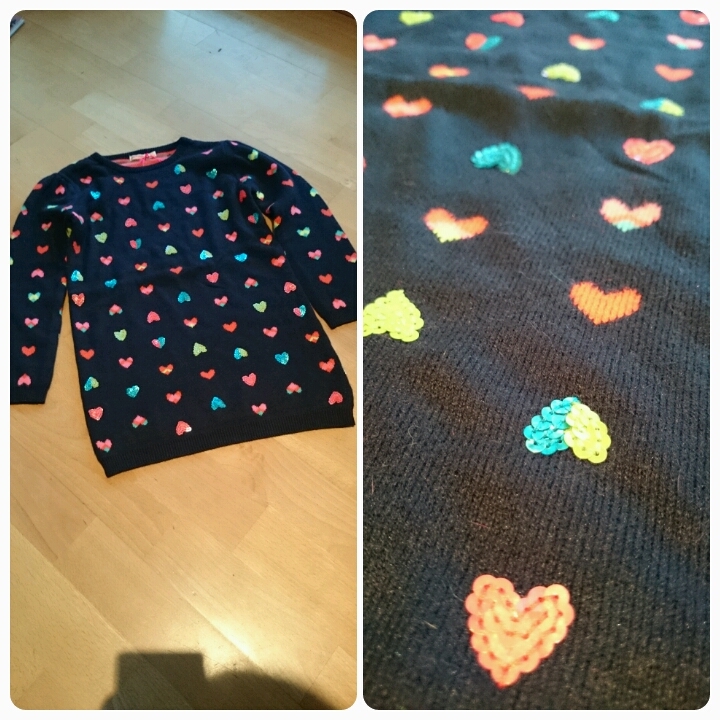 A lovely thick and cosy material covered in adorable sequin hearts, it is both warm and stylish and transitions from Autumn to Winter when paired with leggings and boots. 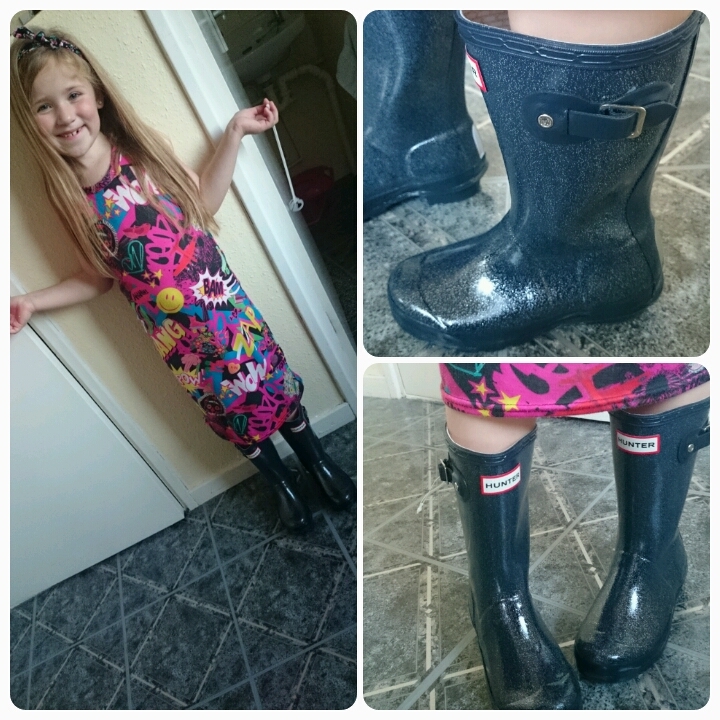 Both Layla (2) and Freya (6) received a pair of Hunter wellington boots each. I have always loved this brand of wellies. Fashionable and durable. 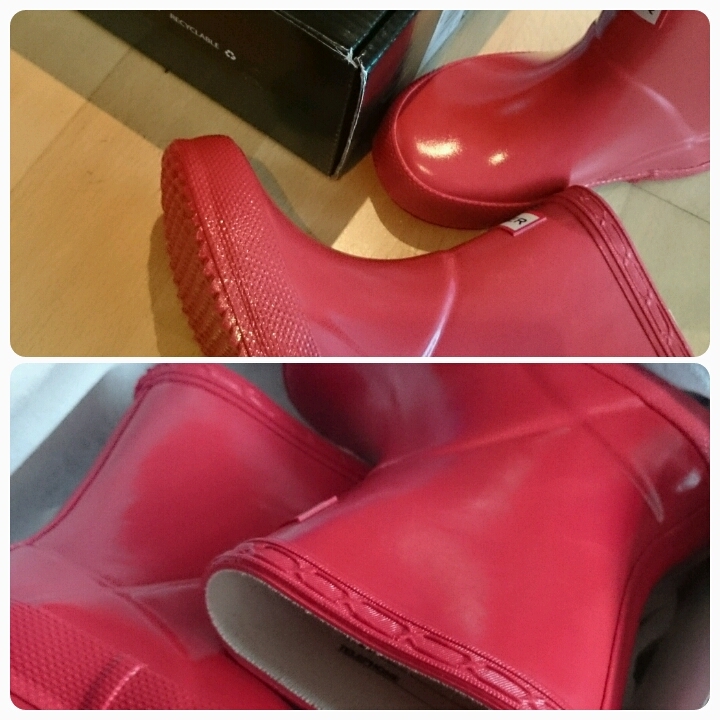 Ideal for splashing in all those puddles. I've been trying to persuade Daddy Hazelden to buy a pair for me!!! 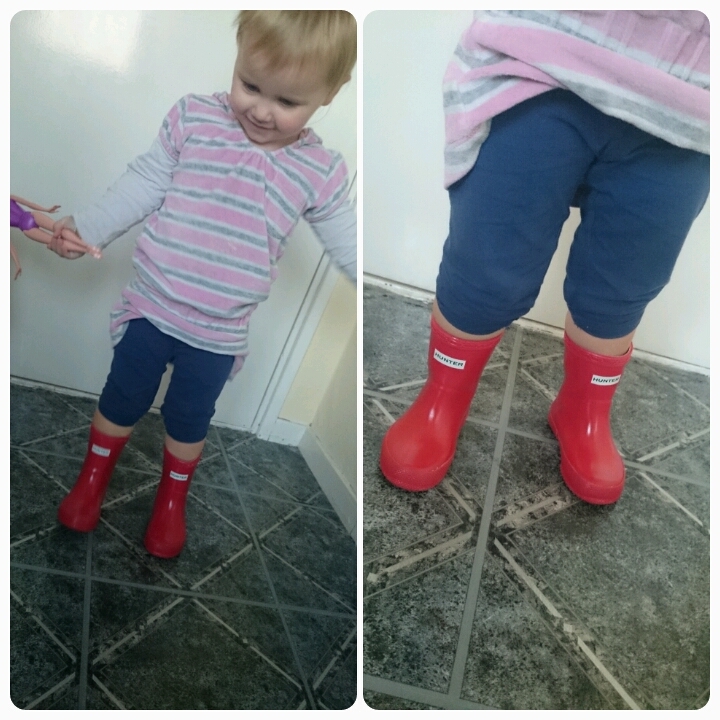 Layla's post box red pair (rrp £36) have had many compliments from other mums and Freya's glittery pair (rep £45) liven up even the dullest of cold weather outfits. 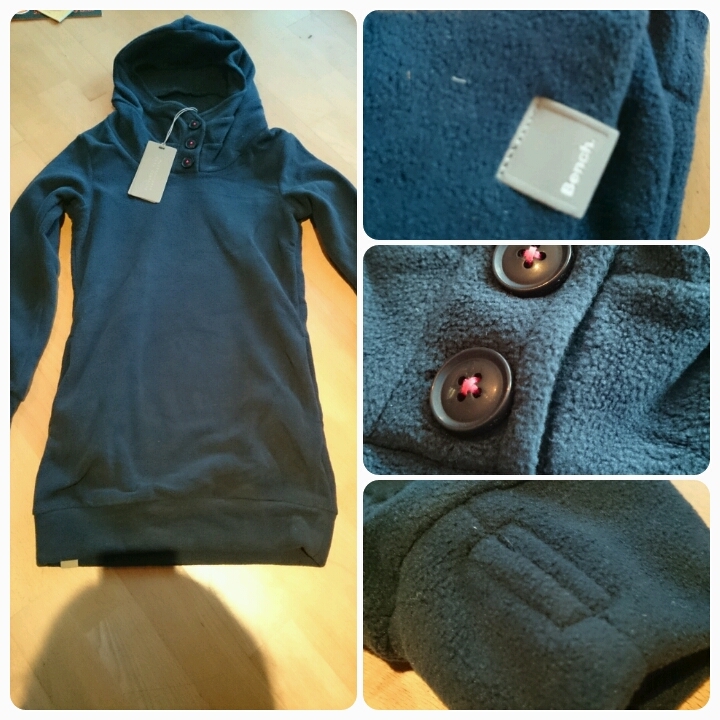 Elise (9) was given a polarbird hooded jumper dress from Bench clothing (rrp £28). 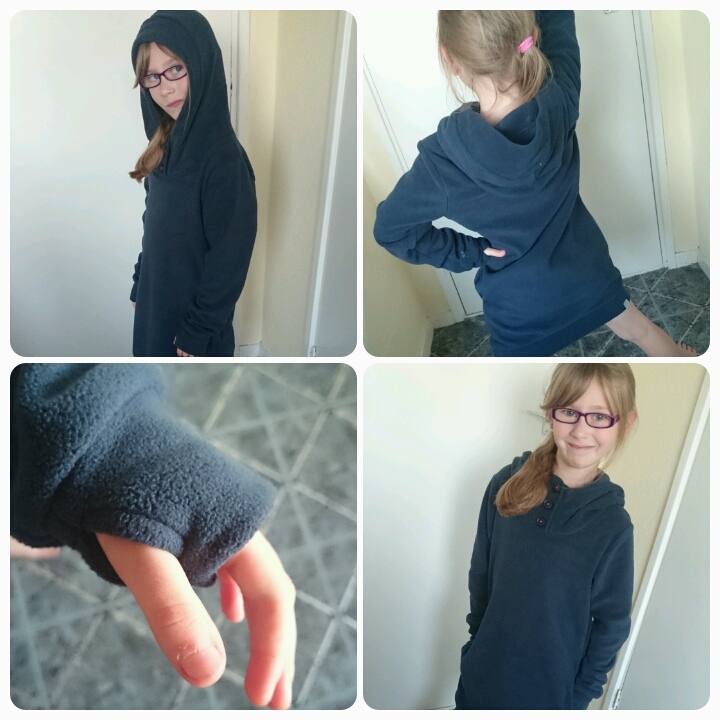 This fleecy number feels unbelievably soft and with the added details of chunky buttons, pockets to keep those hands warm and the signature thumb holes, I think it leans more towards the "grown up" look whilst remaining suitable for children. I liked the addition of a high neck as it takes away the need for a scarf if temperatures are particularly low outside. The girls were so lucky to be sent all these wonderful clothes and boots, I've been eyeing up a few more things on the site including a gorgeous dressing gown from Pumpkin Patch for Layla. What Autumn essentials are your children needing this year?? What a fabulous selection of goodies! 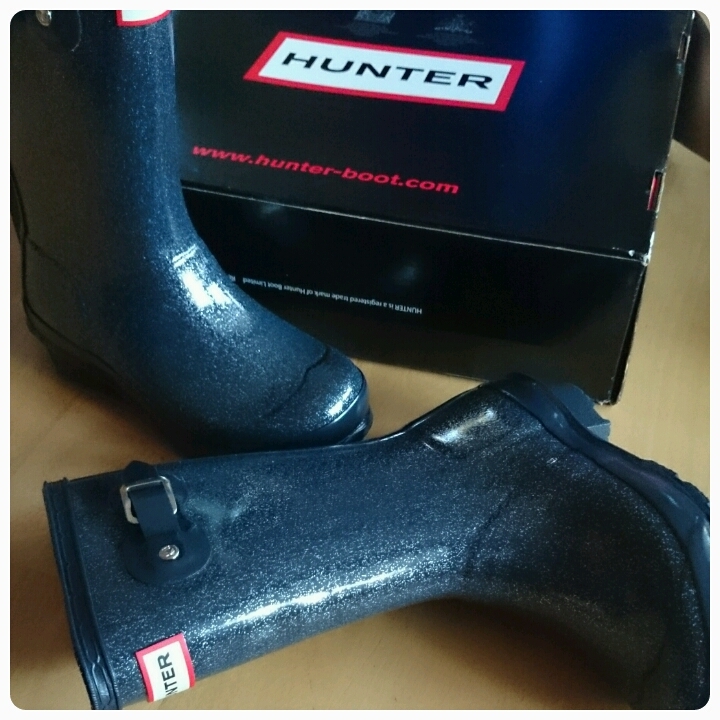 I have Hunter wellies myself and love them.